This software protects sensitive information such as website passwords, credit card numbers, PIN-codes etc. by storing the items in a secure, password protected database. If you use AES Password Manager you no longer need to remember dozens of passwords. When accessing password-protected websites and e-mail accounts, the program automatically selects and enters the correct password from the database. This greatly simplifies your web-surfing experience without compromising your data security. Industry standard encryption - To encrypt data files, the password manager uses the 256-bit Advanced Encryption Standard (AES) algorithm. This is the official strong encryption algorithm as used by the U.S. government. It is based on an open cryptoalgorithm, which has been mathematically and empirically proven to be strong. Internet forms filling - Convenient storage and automatic completion of web-forms using the Internet Explorer browser. The Internet Explorer toolbar allows you to save and complete any web-form with a single click. Teamwork support - The data file created by AES Password Manager is an SQL database. Put this database onto a network file server to enable multiple authorized users to securely access your passwords. 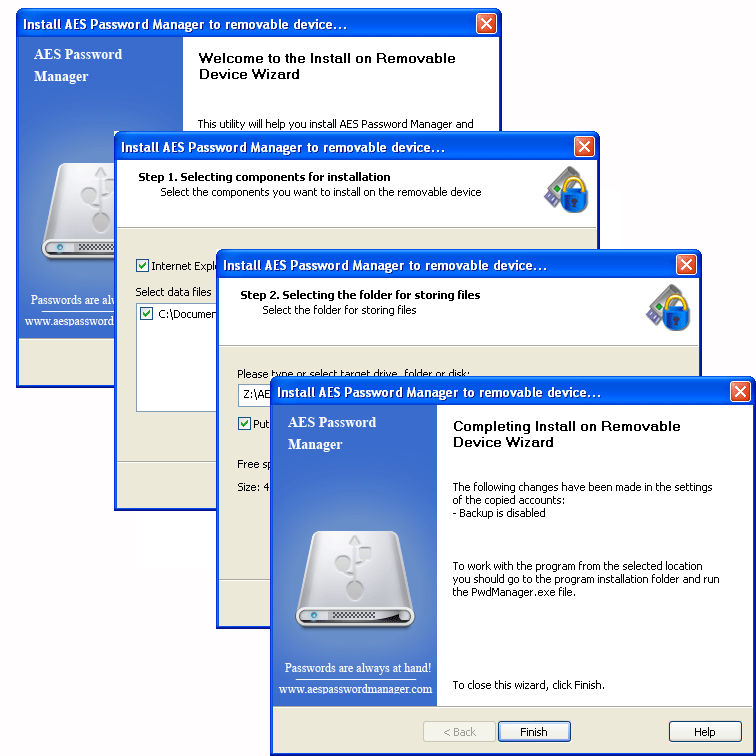 The network administrator can configure user access privileges on a per-item basis. The SuperPaste � technology - Super-Paste allows you to automatically complete forms (dialogs or web-forms) and does not depend on the browser that is used. It achieves this by imitating keyboard presses just as if you were manually completing the form via the keyboard. Password generator - The password is both the central and the weakest link when protecting confidential information. Choosing an easy to guess password is like leaving the door open to thieves. The password generator will create a reliable, hard-to-guess password.